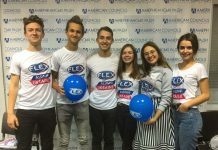 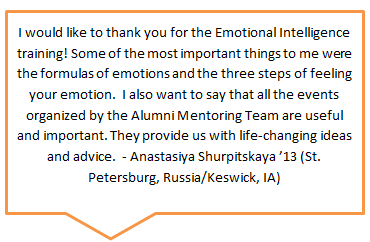 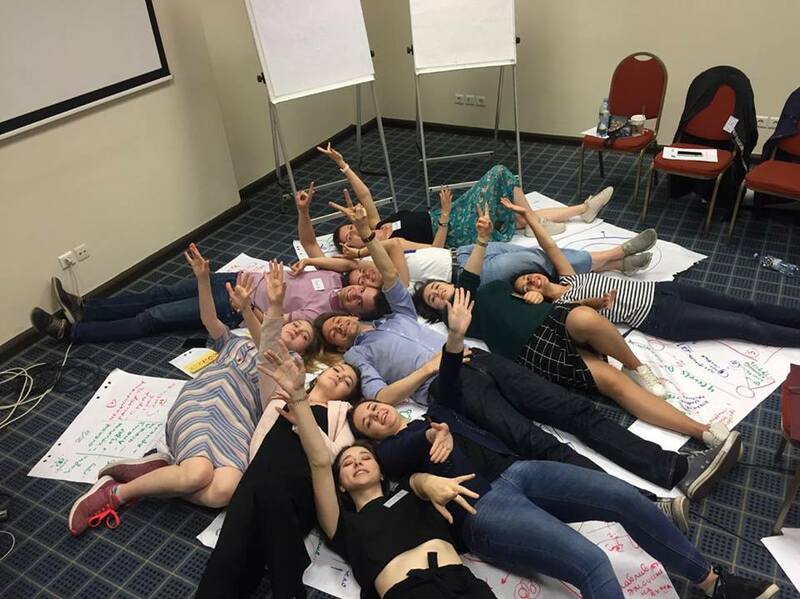 Alumni had really positive things to say about the Emotional Intelligence trainings held on May 19 in St. Petersburg and June 16 in Moscow, Russia. 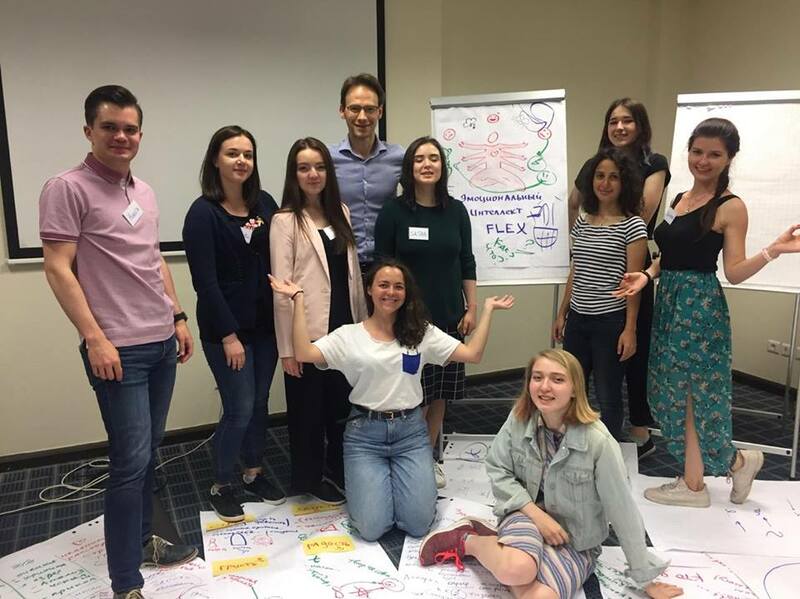 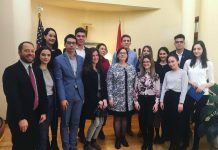 The workshop was organized by Andrey Krikunov ’97 (Tomsk, Russia/ San Diego, CA) who, aside from being a FLEX alumnus, is a coach and business trainer for several training companies including the Center for Creative Leadership, Oratorica, and EXECT Business Training. 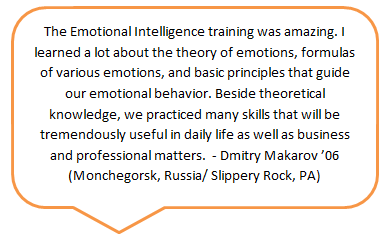 Andrey shared with participants that managing one’s emotions is key to personal happiness, good relationships, and influencing others. 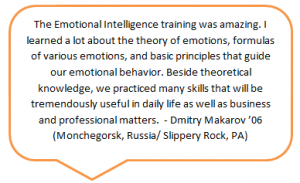 The day-long workshop covered the most important things that one needs to know about how emotions work and how to understand, feel, and manage emotions. 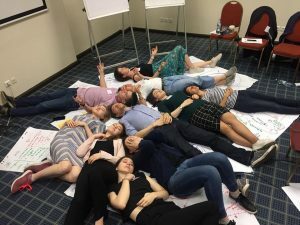 The 28 FLEX alumni who participated in trainings answered questions and took part in exercises that lead them to explore their inner world, increased their self- awareness, and discover factors influencing their emotions. 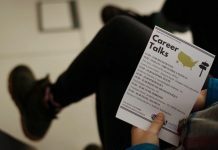 Alumni also learned why stress is developed and why most some of the most recommended and trendy approaches to stress relief do not work. 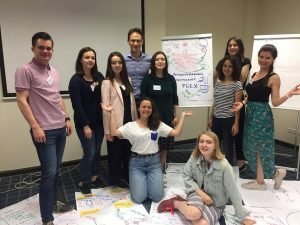 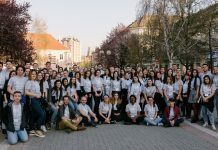 Alumni analyzed themselves and approached new ways to approach a problem in an effective way, using new physical and physiological approaches to understanding and working with their emotions.